Great to have Stuart Kelly (L) on board with Cloverdale Group as our new ACT Manager. Stuart brings a wealth of Facilities Management experience and expertise to the business and we look forward to him getting out and about in Canberra - we are fortunate to have him on board. Pictured with Stuart is Craig Macpherson (R), our Victorian Manager. 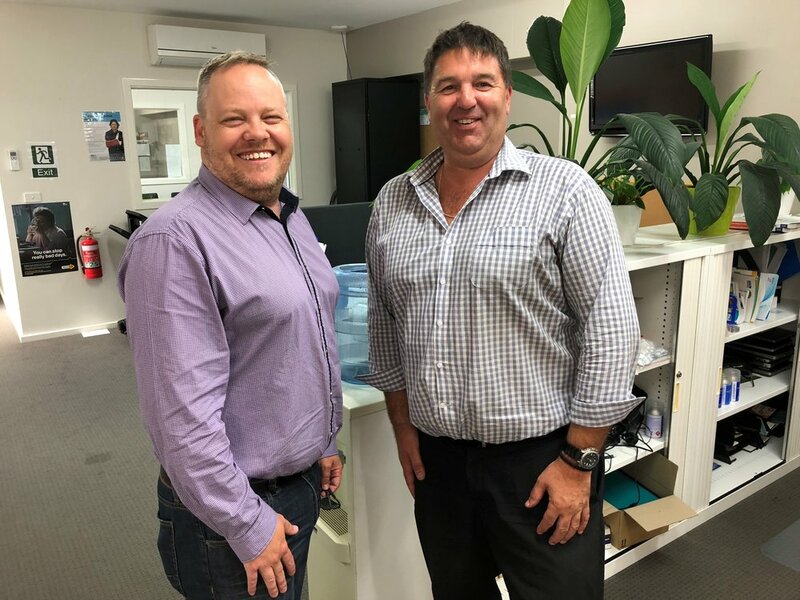 Craig is an invaluable member of the Cloverdale team and joined Stuart for his induction at our Head Office in Geelong. The Cloverdale Group continues to expand our presence across ACT and Victoria with some exciting announcements to follow - stay tuned!